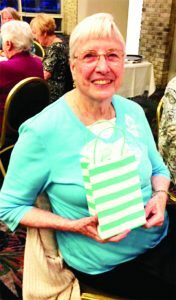 The Friends of the Sun City Libraries, an all-volunteer organization, recognized its top volunteers during an annual dinner at the end of March. 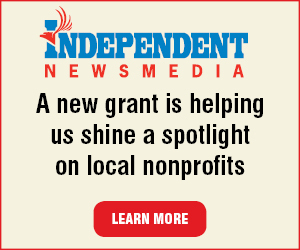 The organization provides financial and other support to the two Maricopa County Library District operated facilities in the community — the Bell branch library, 16828 N. 99th Ave., and the Fairway branch library, 10600 W. Peoria Ave. The group meets monthly to discuss activities and programs. The next meeting is 9:30 a.m. Thursday, April 11 in the Bell branch library meeting room. A total of 80 people attended the volunteer appreciation dinner. A survey greeted volunteers as they arrived, according to Tom Everitt, Friends newsletter editor. Board President Marcia Davis requested all to complete it as the board would use it for future planning. During the dinner Friends leadership named two volunteers of the year — Ada Weiner and Sara Kuykendall. They both work at Books Around the Corner, the Friends used bookstore located inside the Bell branch library. They also assist in the library when necessary, according to Mr. Everitt. 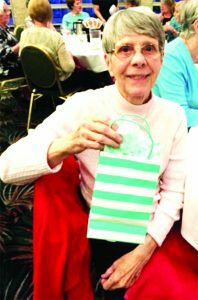 The event also saw three volunteers recognized as they are retiring from the group. They included Valerie Myers, 12 years; Dolores Kuykendall, 13 years; and Gretchen Fletcher, 25 years. Ms. Fletcher could not attend the dinner. In addition, Camilla Kuberka was recognized for her six years service on the Friends board. A special recognition certificate was presented to Karl Watgen, Fairway Library volunteer, for his continued dedication and job commitment, according to Mr. Everitt. Mr. Watgen is a previous volunteer of the year. Jackson Hadley, library supervisor, said the Sun City Libraries have 20% of all the volunteers in MCLD. This figure only includes those volunteers who work in the two libraries.